Automatic espresso machine = great coffee? 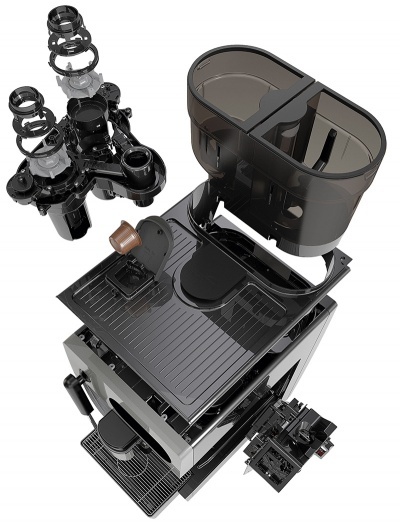 This is not about another automatic espresso machine page, if you want more information about espresso maker, you can check out this link above. Here, we would focus on one aspect of using these machines to brew good coffee. Just in case you are thinking what are these machine, it is a brewer that requires you to do the minimum work when extracting your espresso. 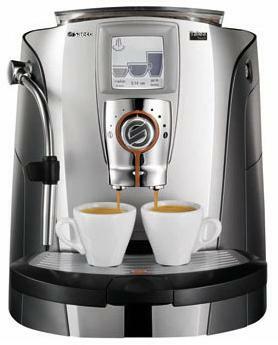 Some of the more well known brands of automatic espresso machine includes saeco, jura, krups and capresso. There are of course many other brands that are not listed here but although the marketing and sales would want you to believe that you do not need to do a single thing, the fact is, the more you know, the more you are able to brew better espresso. There are many variables to get it right when it comes to preparing a good espresso, and we have covered quite a few things in our other articles, here we would focus on the sequence to the extracting of the espresso. Assuming that you have done that is required for the roasting, blending, grinding, dosing and tamping of the coffee, then the correct extraction would be key to improving the taste of your espresso. This might or might not apply to your espresso machine , as every machines varies and if not be required if you are using automatic espresso machine. To do this, before doing anything,allow approximately 2 ounces of water to flow through. After that, fixed the porta-filter into the group head and placed a glass that is pre-warmed under the sprout. After that you would begin to do the pre-infusion cycle, this would distribute water over the top of the espresso pellet. Doing this would expand the pellet and seal it properly, this is to ensure that your blasting with the pressurized water would be smooth. Do note that if you are extracting about 1.5 ounces of espresso, the whole extraction would not take more than 30 seconds. The flow should like warm honey dripping from the sprout (I am referring to the color). Here, what you need to take note of is the timing. If the extraction is longer than 30 seconds, this would mean that the grind size is too small and you would need to adjust the grinding to produce larger grind size. But, if it takes less than 30 seconds, even lesser than 24 seconds, this would meant that your grind size is too big, you would need to have a smaller grind size. Having said all this, it is impossible to arrive exactly 30 seconds, give or take 2 seconds is fine. I do not know if this would apply to your automatic espresso machine, but regardless, I believe it would deepen your understanding on the subject matter and hope it would bring you to better espresso experience.